Born circa 1845. She was of African American, Haitian and Ojibwe descent. 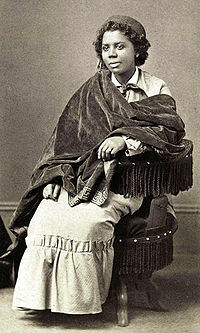 Mary Edmonia Lewis was the first African American and Native American woman to gain fame and recognition as a classical sculptor in the international fine arts world. In her 20s, Lewis sailed for Rome to pursue her career. 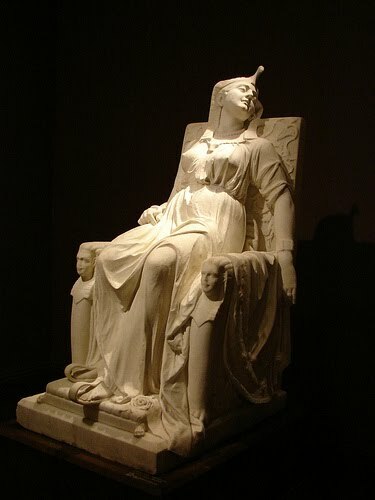 Her most renowned piece, The Death of Cleopatra, is a two-ton Italian marble sculpture, for the the 1876 Centennial Exposition in Philadelphia. It is now on permanent display in the collection of the Smithsonian American Art Museum.